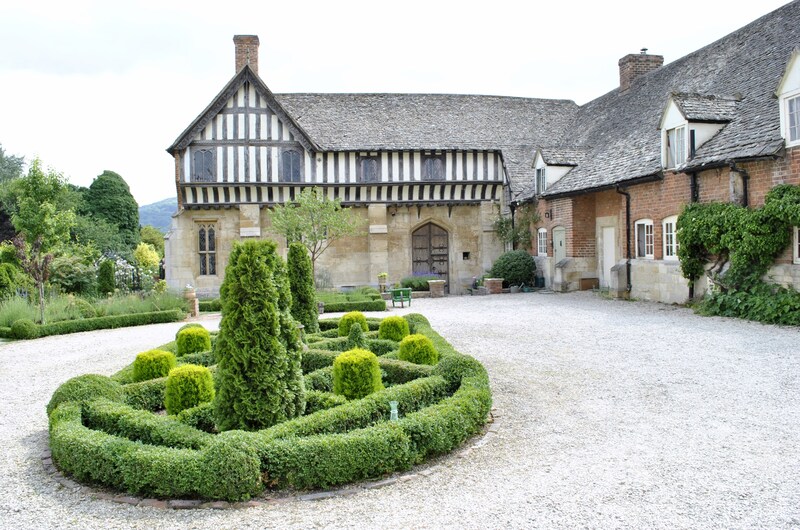 Today we took some visiting relatives to Brockworth Court, a Grade 2* Listed Building on the outskirts of Gloucester and close to Cheltenham which opens for the National Gardens Scheme. 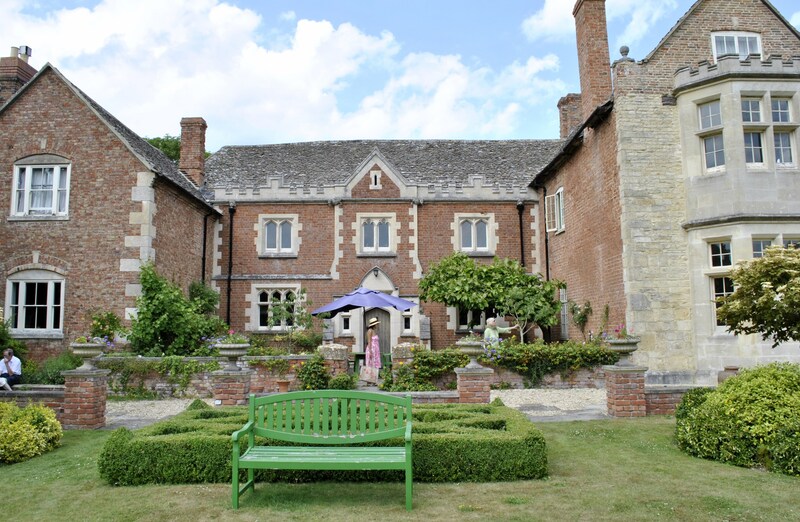 Dating back to 1540 and originally built for Richard Hart, the last Prior of Llanthony Secunda Priory. The buildings are truly magnificent and of great national importance. 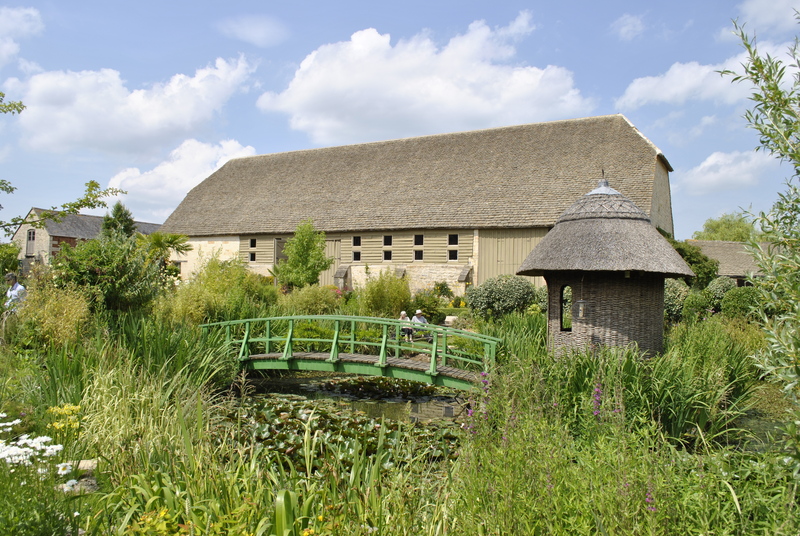 The Tithe Barn pre-dates the house by almost 100 hundred years and was completely rebuilt in 2000 after it was nearly destroyed by fire. With the adjacent St. George’s Parish Church, formal gardens on three sides and a kitchen garden over the lane, the current owners must be working very hard to restore and maintain this ancient pile. The ‘Monet’ bridge over the pond to a thatched round house we found rather twee and served no real purpose other than as a visitor attraction. 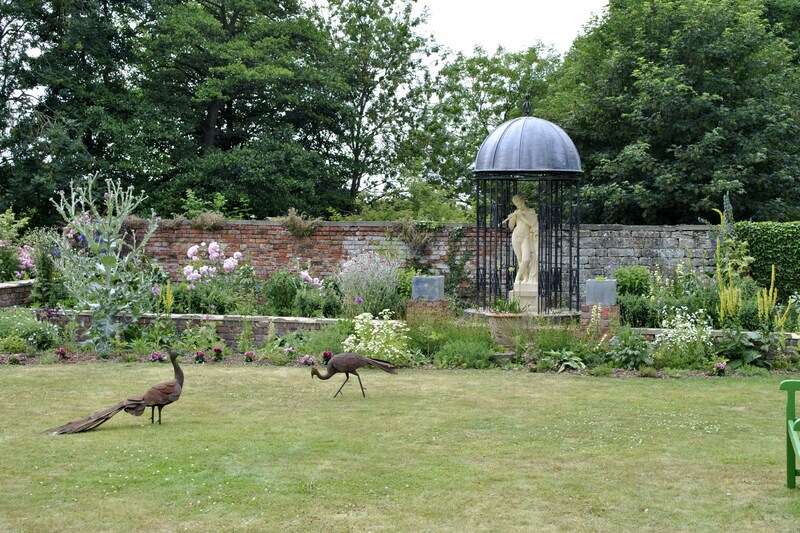 However, the borders and planting combinations were colourful and inspiring. 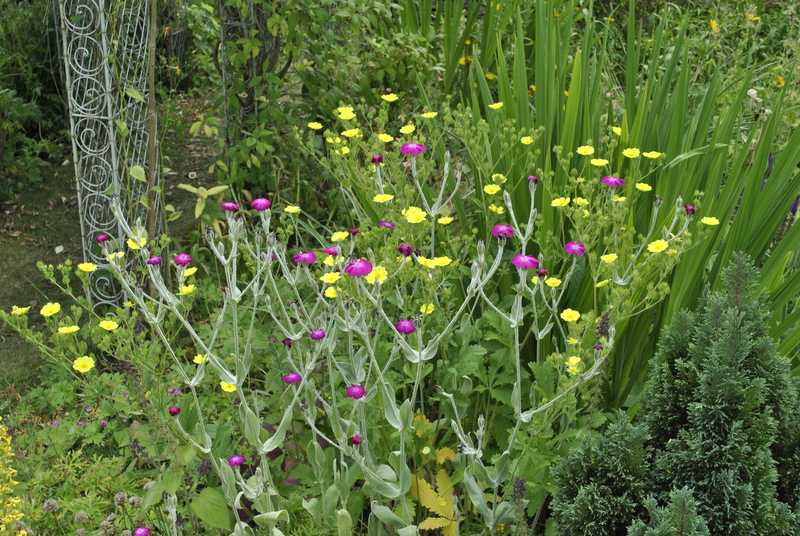 I was particularly impressed to find the Rose Campion, Lychnis coronaria, planted with the bright yellow Potentilla recta ‘Sulphurea’ which worked for me. The strong magenta coloured Lychnis is lovely on its own but awkward to place unless it is with white. I might try it with Geum ‘Lady Stratheden’ which is long flowering, equally tall and bright yellow. 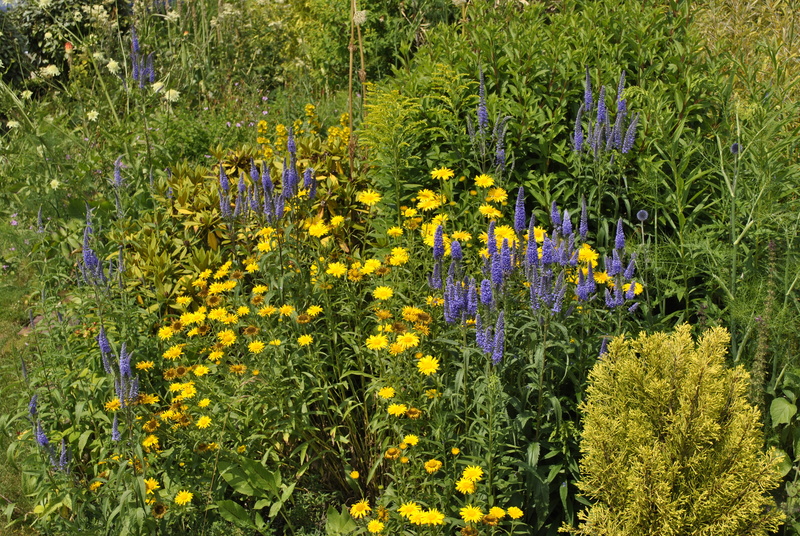 The strong yellows and purples were a big feature of this garden and made excellent photographic subjects. 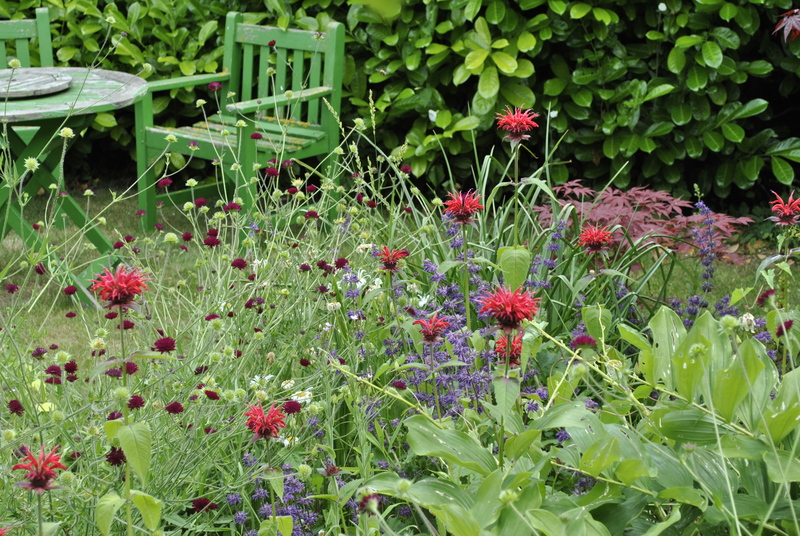 Equally attractive were the reds and purples of these Monarda, Knautia and Salvias flanked by Solomon Seal and Acer palmatum. 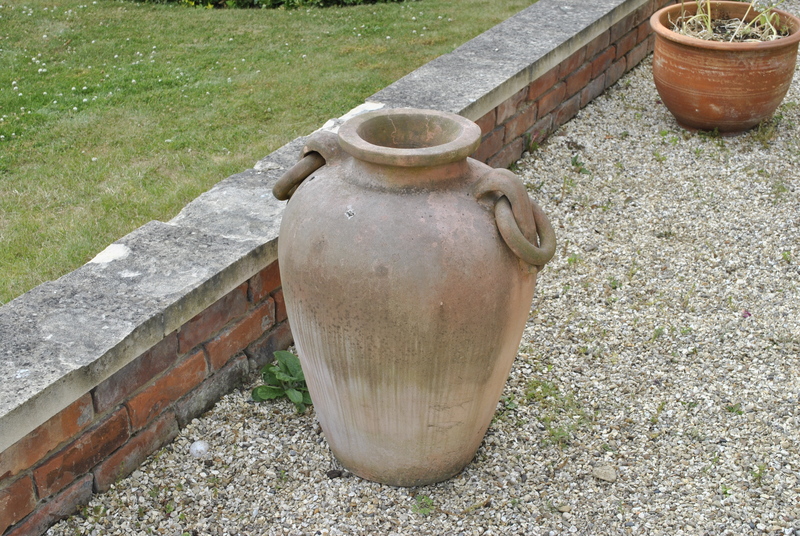 But sometimes a simple pot or urn is enough. I think I would have steered away from rusty peacocks and stone ladies playing the flute in a cupola topped gazebo but everyone to their own! I think this is where garden design and ‘marketing’ often bump awkwardly together in places open to the public. Overall, a ‘good’ garden to visit, lots of good ideas and some not so good. A place of heritage and history and somewhere we will visit regularly to note the seasonal changes. 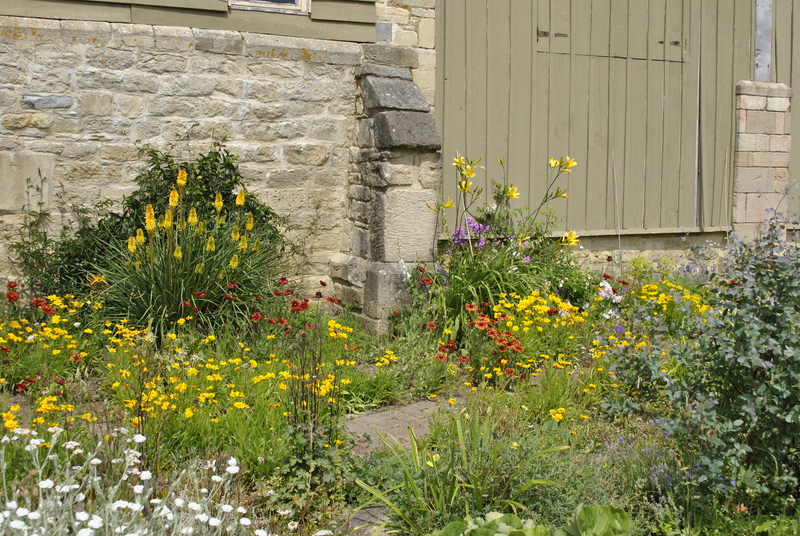 This entry was posted in Colour, Open Gardens, Plant combinations and tagged Knautia, Listed building, Lychnis, National Garden Scheme by davidsgardendiary. Bookmark the permalink.